1 2 – Are “kotatsu” tables really as comfortable as depicted in anime? 1.1 3 – How do Japanese people wash their kotatsu blankets? 1.2 4 – How do I keep my cat warm throughout the day in Japan during winter? 1.3 5 – Is it common for students to own kotatsu in their small apartments? 1.4 7 – What is your favorite item from Japanese culture? 1.5 8 – Why don’t we have heated furniture? 1.6 9 – What is the warmest material for a desk? 1.7 10 – How to save money on heat during winter? 1.8 11 – How tall is a kotatsu? 1.9 12 – What are low Japanese tables called? 1.10 13 – How high is a Japanese table? 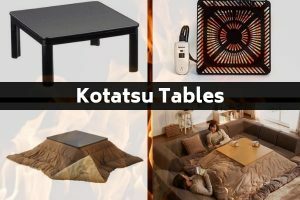 1.11 14 – Where to buy a kotatsu table? 1.12 15 – Kotatsu in the US or Canada? 1.13 16 – How to build an American-style Kotatsu? 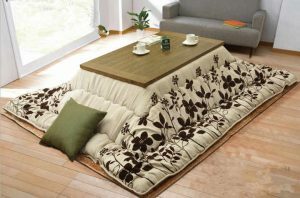 1.14 17 – Is kotatsu table available in India? 1.15 18 – How to Keep Warm in winter in Japanese-Style? 1.16 19 – What are the substitutes for kotatsu heater? 1.17 20 – Is there any Kotatsu heater alternative? 1.18 21 – How to make a futon for a kotatsu? 1.19 22 – How and what is a kotatsu table used? 1.20 23 – In the USA, Where can I buy a kotatsu?